What a lovely evening – thanks to everyone for making it happen! The refreshments were great and a good time (hopefully) was had by all! Click here to see some photos on our Facebook page! A huge thank you to Gillie Ross for organising and sponsoring this event. Without her incredible energy and enthusiasm for the church and the choir it would never have happened. Thank you to Sally Napier-Fenning for all the sweet treats and to Vaughan for his support – once again I don’t think there was much left! and last but not least a big thank you to Graham, who managed to make it an interesting and entertaining evening for the audience, as well as getting us a step nearer to perfection on 8th May! Easter holiday – NO CHOIR THIS WEDS 17th!! Hopefully you will all know by now that there is no choir on 17th April, and our next rehearsal is on 24th April at the URC as usual. We were not able to cover all the music planned for yesterday, so please do your best to attend both Wed 24th and Sat 27th rehearsals, and do as much Music Practise as you can beforehand. In particular next up will be finishing the Go Forth chorus and then revisiting the Demons Chorus. Keep your concert memories alive!! In 2016 we made a recording of our performance of Verdi Requiem, which was very popular among Choir members. This year we are moving ahead with the technical progress and offering downloadable recording! The recording will be a wonderful memento of the concert, and is only being offered to choir members – not for commercial sale. Order early to take advantage of £15 (discounted) Price! 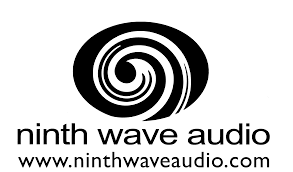 The recording will be made by a professional company – NINTH WAVE AUDIO, who specialise in classical music recording, have a full range of state of the art equipment and a track record of recording concerts for the BBC and at The Royal Festival Hall. The recording should be ready by mid June 2019, and will be available to download from the internet. It is not for commercial use, but you can buy it for yourself or as a present to your friends and family. It cannot be copied to other choir members, but can be played on any computer, mobile phone, iPad, iPod, MP3 player or even in your car! If necessary we are offering a CD recording, but please do be aware that this is an additional cost to the choir and will take an additional 14 days for printing and delivery, so we are recommending a digital recording as the more flexible and preferred option. Elgar Walk – This Sunday 14th April! That’s it for now and ….